Price: US$5,469 / £4,447 / €5,146 per person. Items of a personal nature, e.g. gifts, laundry, etc. Sri Lanka is a picturesque continental island situated at the southern tip of India and has actually been connected to India for much of its geological past through episodes of lower sea level. 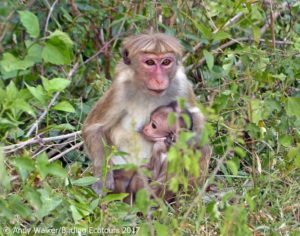 Despite these land-bridge connections, faunal exchange between the rainforests found in Southern India and Sri Lanka has been minimal. 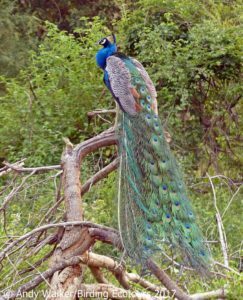 This lack of exchange of species is probably due to the inability of rainforest organisms to disperse though the interceding areas of dry lowlands. These dry lowlands are still dry today and receive only one major rainy season, whereas Sri Lanka’s ‘wet zone’ experiences two annual monsoons. 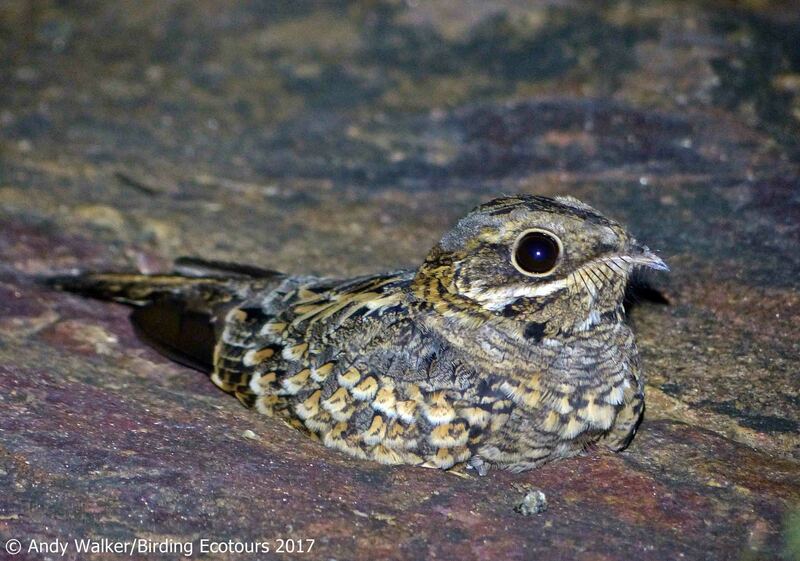 This long insularity of Sri Lankan biota in a moist tropical environment has led to the emergence of a bewildering variety of endemic biodiversity. 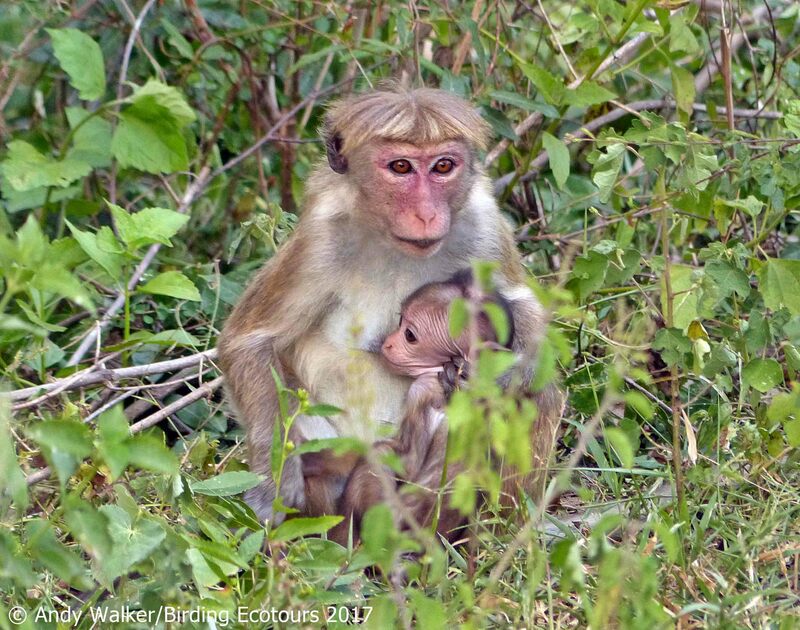 This is why southwestern Sri Lanka and the Western Ghats of southern India are jointly regarded as one of the globe’s 34 biodiversity hotspots. 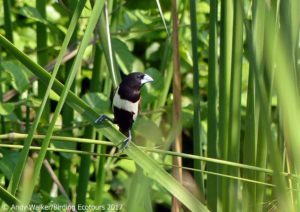 Furthermore, Sri Lanka is the westernmost representative of Indo-Malayan flora, and its abundant birdlife also shows many such affinities. Sri Lanka is home to 34 currently recognized IOC endemic species with some of the most impressive ones including the rare Sri Lanka Spurfowl, gaudy Sri Lanka Junglefowl, Sri Lanka Hanging Parrot, and Layard’s Parakeet, the shy, thicket-dwelling Red-faced Malkoha, the tiny Chestnut-backed Owlet, the common Sri Lanka Grey Hornbill, Yellow-fronted Barbet, Crimson-fronted Barbet, Yellow-eared Bulbul, the spectacular Sri Lanka Blue Magpie, the cute Sri Lanka White-eye, and the tricky, but worth-the-effort trio of Sri Lanka Whistling Thrush and Sri Lanka and Spot-winged Thrushes. 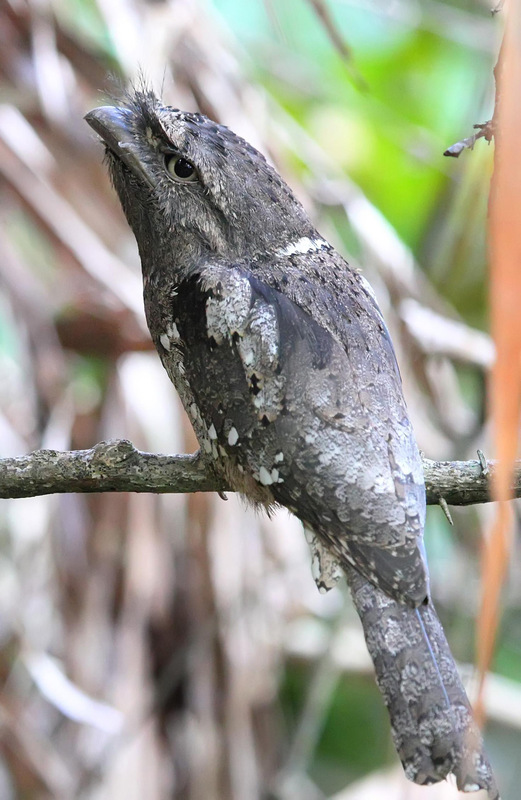 We will also look for the relatively recently discovered (2001), Endangered (IUCN), range-restricted, endemic Serendib Scops Owl, which we will hopefully find on its day roost, as we will hope to do with the shy and secretive Sri Lanka Bay Owl too. 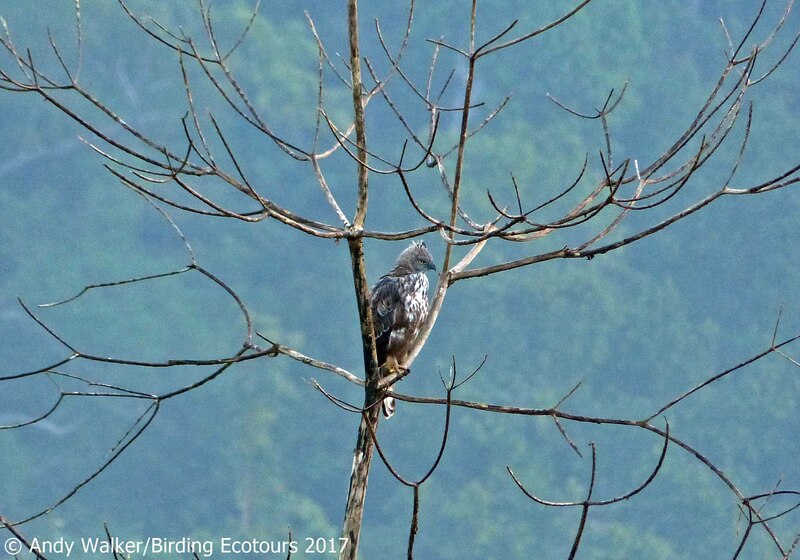 This tour is also timed to coincide with the presence of several overwintering species in the country that are difficult to find at their breeding grounds; these include the boldly-patterned and highly-skulking Pied Thrush, the pretty Kashmir Flycatcher, and the simply stunning Indian Pitta. 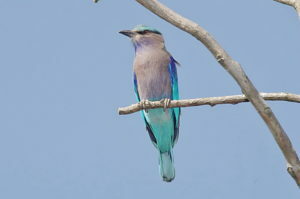 There are also plenty of other exciting species possible, such as Lesser Adjutant, Indian Blue Robin, Indian Peafowl, Legge’s Hawk-Eagle, Orange Minivet, Indian Paradise Flycatcher, Forest Wagtail, Malabar Trogon, and Sri Lanka Frogmouth (surprisingly not a Sri Lankan endemic, given its English name; it also occurs in southern India in the Western Ghats). 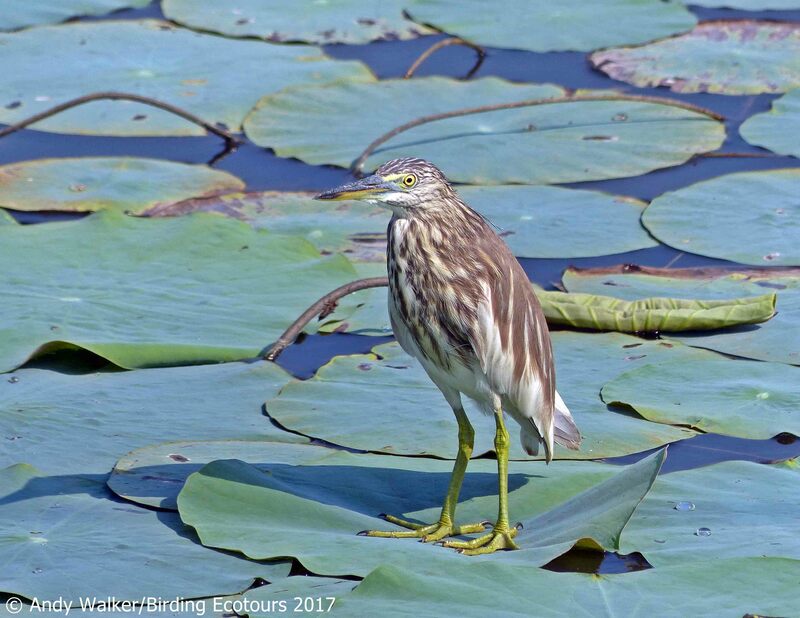 This tour also offers plenty of wildlife viewing opportunities with Asian Elephant, the Sri Lankan endemic subspecies of Leopard (Panthera pardus kotiya), and Blue Whale all being possible, along with a range of monkeys, squirrels, and deer. 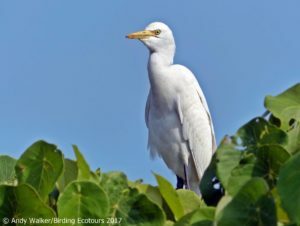 The itinerary covers a variety of habitat types, including lowland, monsoon and cloud forests, grasslands, lagoons, coastal mudflats, fresh and brackish waterbodies, imposing riverine woodland, and forest, and will include a pelagic trip off Sri Lanka’s southwest coast into the sparkling Indian Ocean. 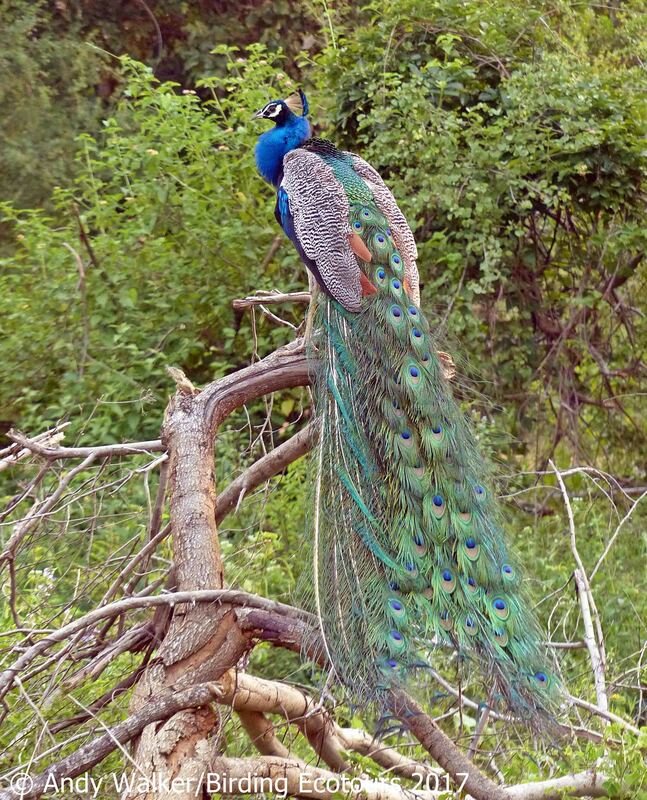 You could combine this tour with our exciting set of Indian bird and wildlife tours that follow after this tour, such as our very popular India: The North – Tigers and Birds tour that runs directly after this one (27 January – 12 February 2021), our Northwest India: Lions and Desert Birding in Gujarat tour (13 – 26 February 2021), and our Northeast India: Birds and Mammals of Eaglenest, Nameri and Kaziranga tour (1 – 15 March 2021). Arrival in Sri Lanka at the Bandaranaike International Airport in Katunayake and transfer to your hotel in the Colombo area with the remainder of the day at leisure. We will have a group dinner together in the evening, our first of many wonderful local dishes, the food in Sri Lanka is great! 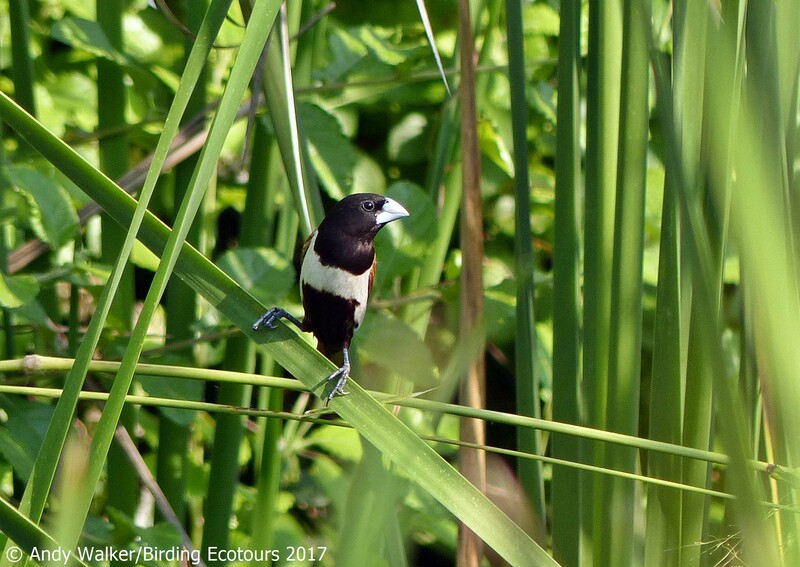 We will leave the hotel after breakfast, heading toward the west to our first birding base, the lush lowlands of Kitulgala. Roadside birding in Sri Lanka is refreshingly good. 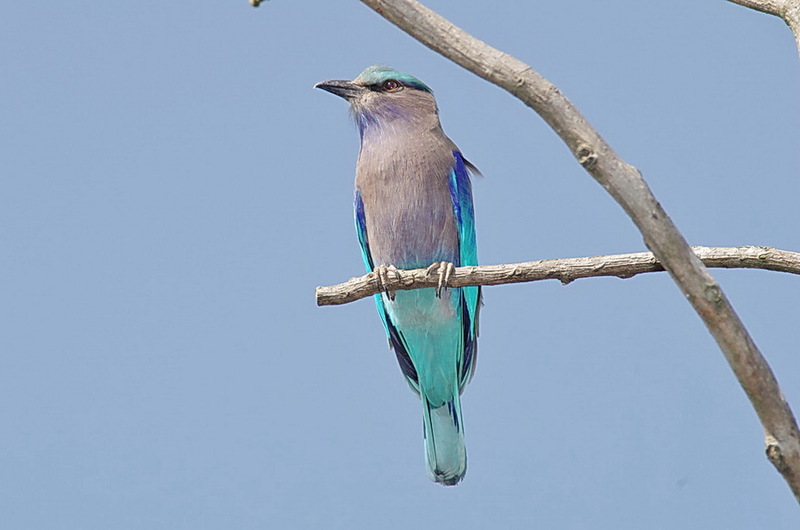 Blue-tailed Bee-eater, White-throated Kingfisher, White-bellied Drongo, Indian Roller, Sri Lanka Swallow, Scaly-breasted Munia, Brown Shrike, Indian Jungle Crow, Yellow-billed Babbler, Oriental Magpie-Robin, and Ashy Woodswallow are often seen perched on wires. Though we will no doubt see them again and again, these wayside temptations will be hard to resist. 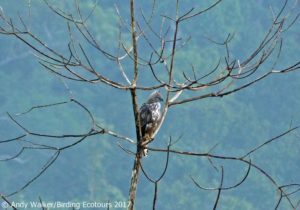 The odd Crested Serpent Eagle and Changeable Hawk-Eagle, sentinels on posts, will almost certainly bring our vehicle to a halt. 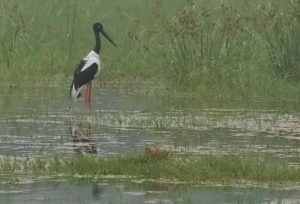 The more common waterbirds such as Red-wattled Lapwing, Indian Pond Heron, Eastern Cattle Egret, Intermediate Egret, Black-winged Stilt, and Asian Openbill will certainly not be ignored either. With all these leg-stretching stops it will be close to midday by the time we reach our overnight accommodation, nestled in a well-wooded garden and overlooking the Kelani River, the setting for the renowned ’50s Hollywood blockbuster “The Bridge on the River Kwai”. 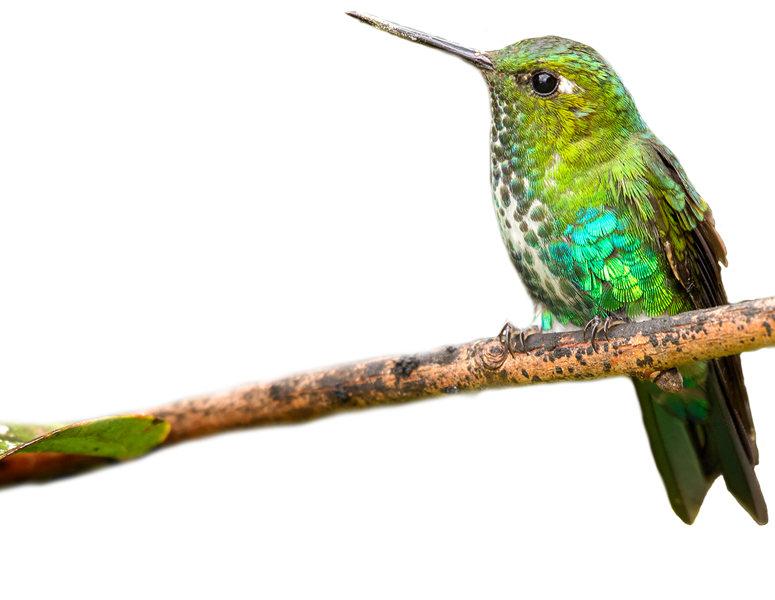 After enjoying our first of many rice-and-curry lunches we will commence our quest for the island’s endemics in the well-wooded garden of our lodge. The resonant call of Yellow-fronted Barbet is likely to demand our attention first – a common element in the soundscape of the wet Sri Lankan hinterland. 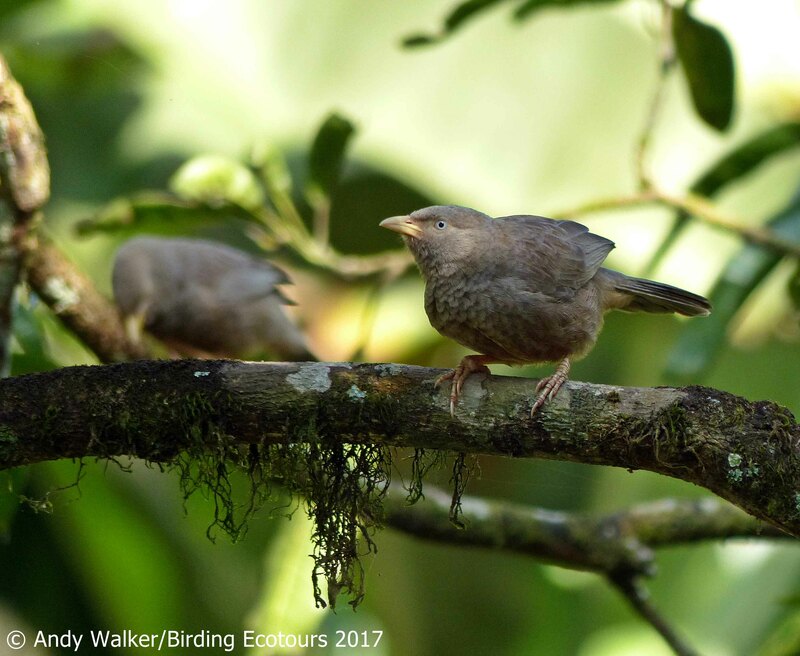 The gregarious Orange-billed Babbler with its constant chattering will be easier to locate. A gem of a bird, Sri Lanka Hanging Parrot – with its specific name beryllinus named after beryl, a semi-precious stone found in Sri Lanka – may require scope views to properly take in its scarlet forehead and rump patch against a greener body. 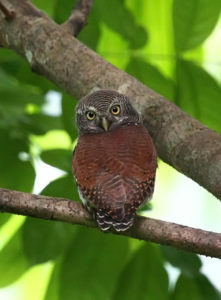 Our night bird tally is likely to get ticking with the adorable Chestnut-backed Owlet at a stakeout. The well-wooded, home-garden-type birding, combining several “patches”, will add a mouth-watering array of birds to our tally in the form of newly raised endemic Sri Lanka Swallow (perched views on wires), Sri Lanka Green Pigeon, Chestnut-headed Bee-eater, Square-tailed Bulbul, White-browed Bulbul, Yellow-browed Bulbul, Tickell’s Blue Flycatcher, Orange-billed Babbler, Sri Lanka Grey Hornbill, Golden-fronted Leafbird, Black-rumped Flameback, Black-headed Cuckooshrike, Sri Lanka Hill Myna, Common Iora, Purple-rumped Sunbird, Bar-winged Flycatcher-shrike, Orange Minivet, Brown-breasted Flycatcher, Asian Brown Flycatcher, Forest Wagtail, and perhaps Layard’s Parakeet, named after E. L. Layard, a 19th century British civil servant, who added an astonishing 136 species to Sri Lanka’s avian inventory. The Spot-winged Thrush may greet the new day with its rhythmic dawn chorus. And it may perhaps come hopping in to find an easy meal at first light. 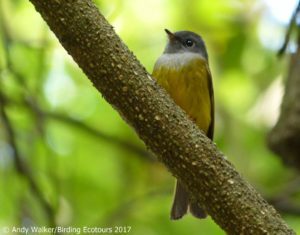 The “pretty-dear” call, likely to be heard in the undergrowth, may betray a flock of Brown-capped Babbler, moving low. 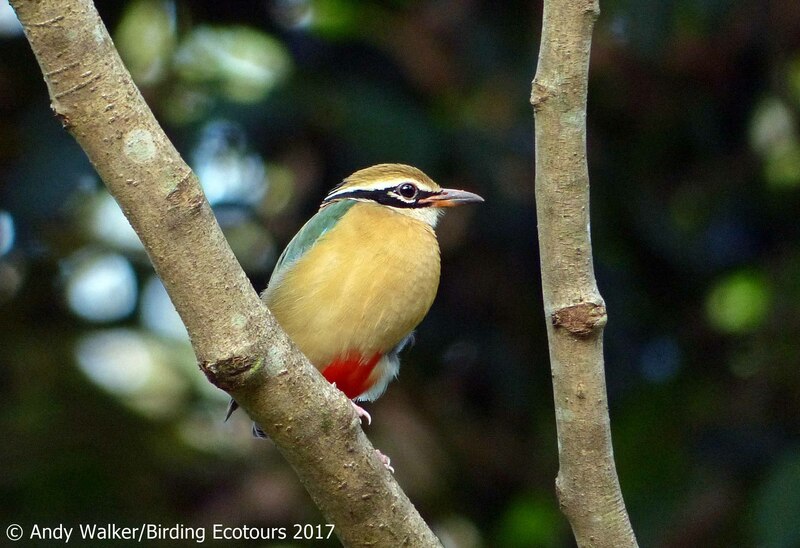 The Himalayan delight, Indian Pitta, might also be not too far, if you scan well. With more light of the day the dawn chorus may peak with additional tunes of Green Warbler, Large-billed Leaf Warbler, Tickell’s Blue Flycatcher, and the aforementioned thrush, with harsher greetings from Chestnut-backed Owlet. 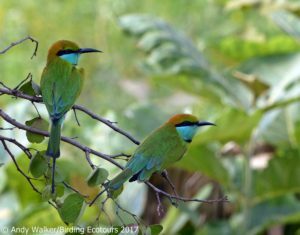 Our morning’s birding will add a huge boost to our trip list, with the likes of Oriental Dwarf Kingfisher, Sri Lanka Drongo, Lesser Yellownape, Indian Paradise Flycatcher, Black-naped Monarch, Black-capped Bulbul, Oriental White-eye, and Sri Lanka Grey Hornbill. We will cross the Kelani River in search of rarer gems. 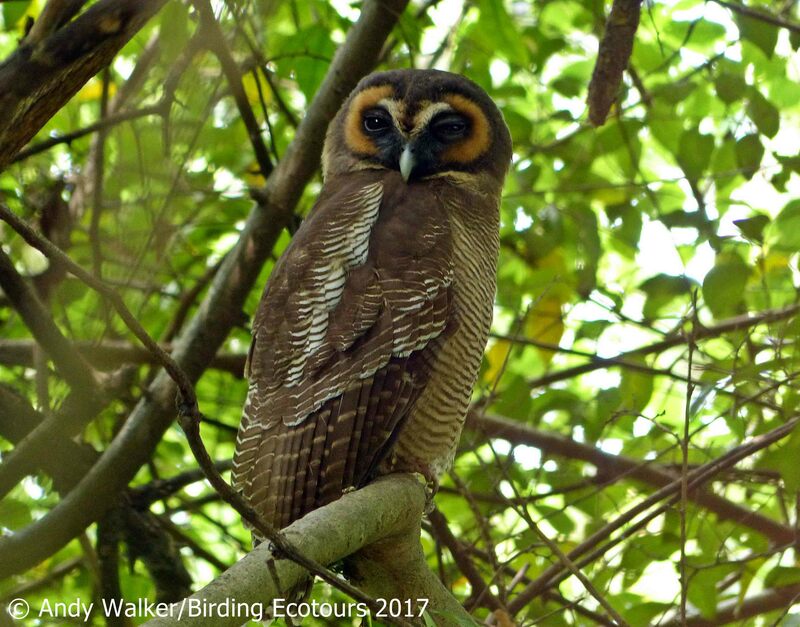 Foremost among these is the Serendib Scops Owl, discovered in 2001 and with an estimated population of only 200 – 250 birds in the wild. 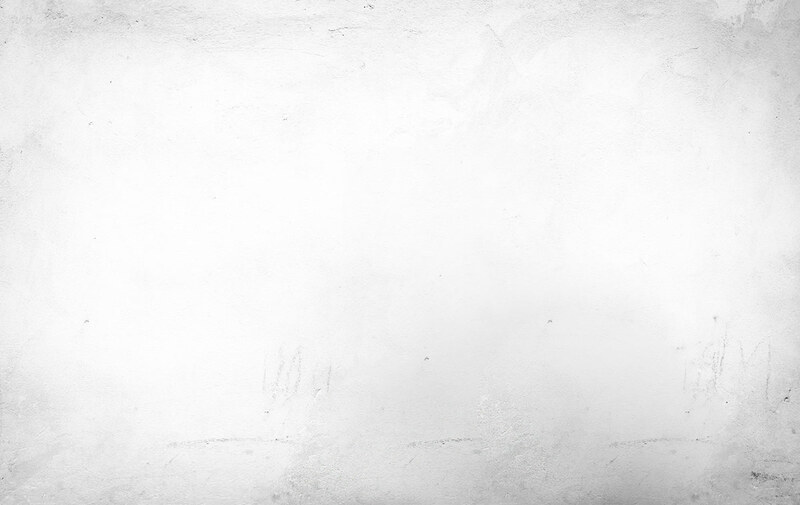 We will look for it at a daytime roost. The ultra-secretive Sri Lanka Spurfowl may require patience, as it is highly wary of people! Crimson-backed Flameback is also in this forest and is a gorgeous woodpecker. 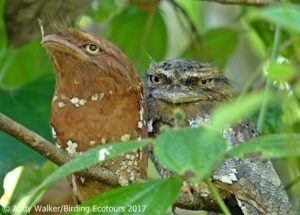 During the return journey we will pause at a forest patch to look for a roosting pair of Sri Lanka Frogmouth, which is a South India and Sri Lanka endemic. 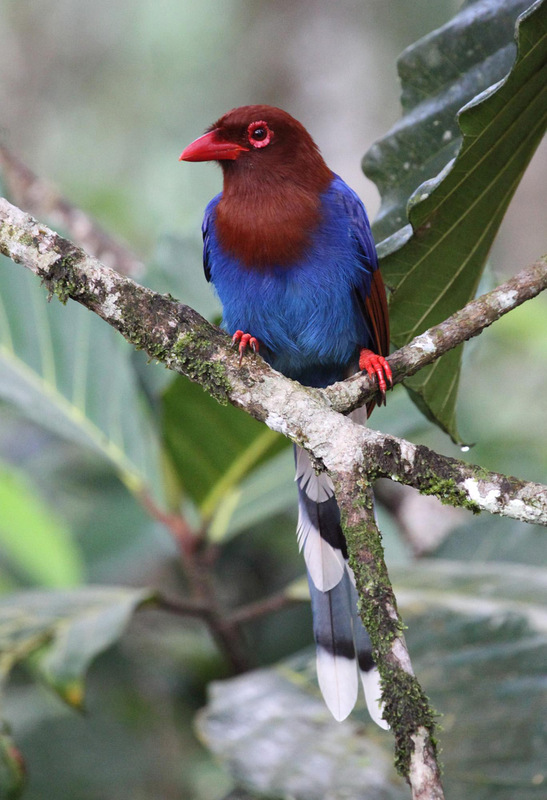 After some early morning birding and breakfast we will drive to the amazing Sinharaja Forest Reserve, a UNESCO World Heritage Site, which represents the largest expanse of lowland rainforest in Sri Lanka and the premier site for endemics. 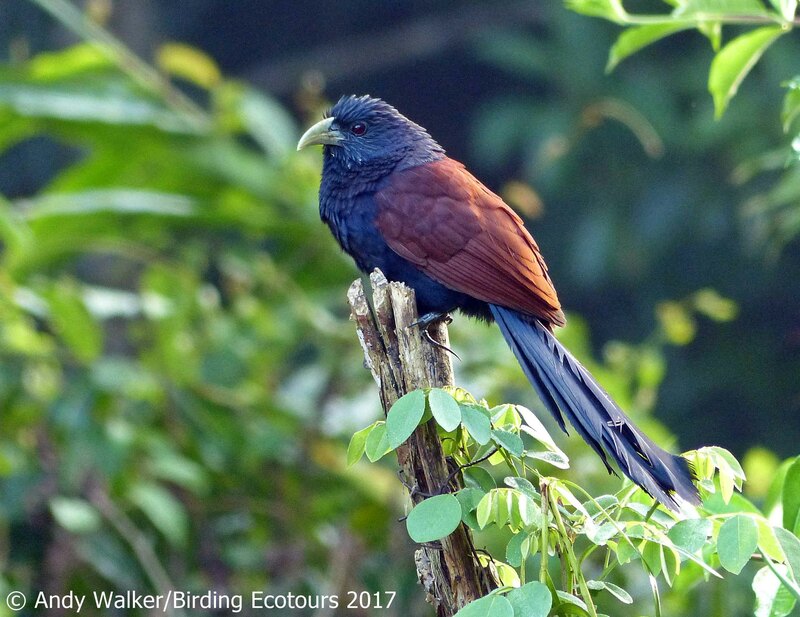 A highlight of birding in Sinharaja is seeing mixed-species bird flocks, which is a strategy adopted by birds in the tropics to maximize feeding efficiency and to reduce the risk of predation; these flocks are likely to be led by Orange-billed Babbler and Sri Lanka Drongo. 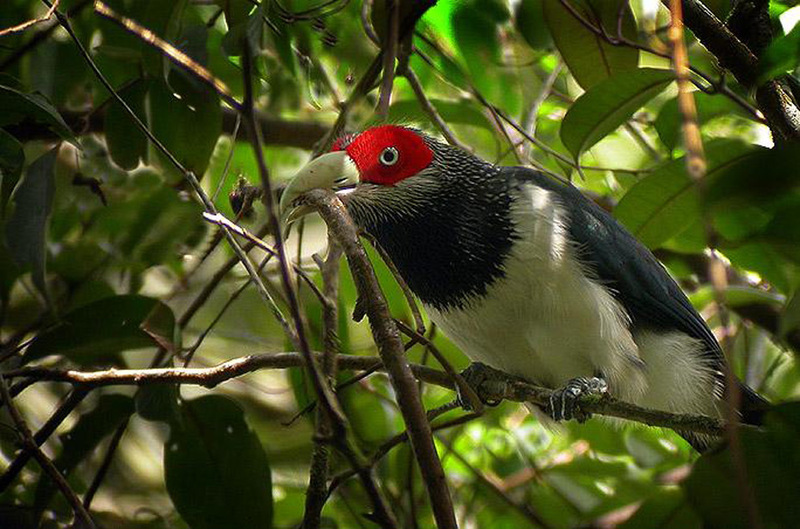 The star of this coterie of flock-associated specials is the enigmatic Red-faced Malkoha – a canopy dwelling endemic, found typically at heights of 25-35 meters, with a remarkable ability to melt away into the dense thickets. White-faced Starling too keeps to the canopy. Ashy-headed Laughingthrush, in comparison, is found in bottom levels of the flock, often scratching the forest floor for insect prey, and Malabar Trogon hawks insects in the subcanopy and remains largely silent. After an early sit-down breakfast we will reach the ticket office of Sinharaja and commence our foray into this endemic hotspot, looking for our targets. One of them is the montane endemic Sri Lanka Wood Pigeon, which descends to Sinharaja in search of seasonal fruits. 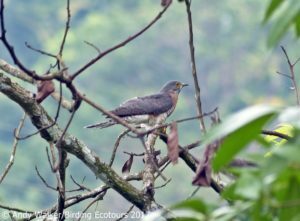 With the right technique more bonus birds will come our way in the form of Sri Lanka Hill Myna, Indian Blue Robin, Slaty-legged Crake, and Indian Cuckoo. Finding an Indian Paradise Flycatcher, sporting its white ribbon-like tail streamers that are nearly a foot in length, may be a possibility if we encounter a good flock. Chestnut-winged Cuckoo, another migrant that joins flocks, may, however, present a tougher challenge, as it isn’t as regular. 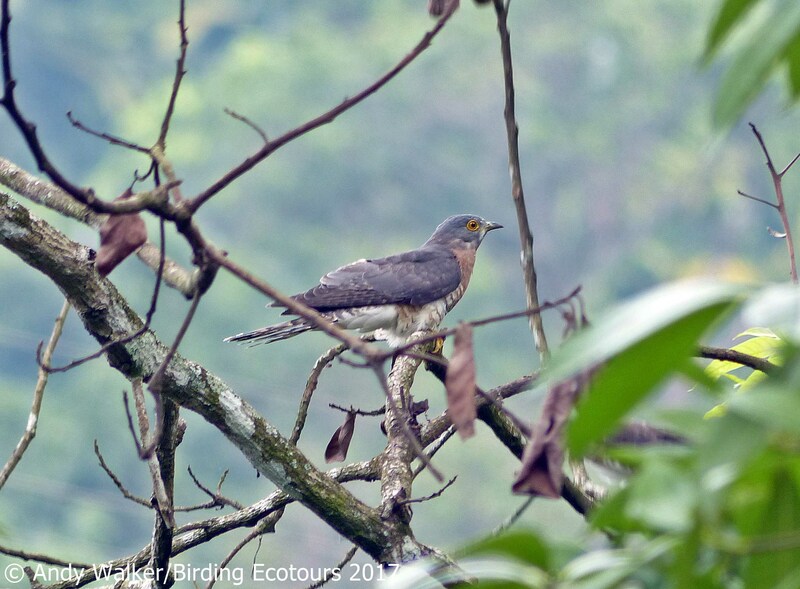 We will also try for forest raptors like Besra and Crested Goshawk, which lurk behind flocks to catch birds. As midday approaches we may perhaps hear the blood-curdling screams of Grizzled (Sri Lanka) Giant Squirrels, which would betray the presence of more formidable forest raptors, such as Legge’s Hawk-Eagle and Black Eagle, soaring high above the canopy. 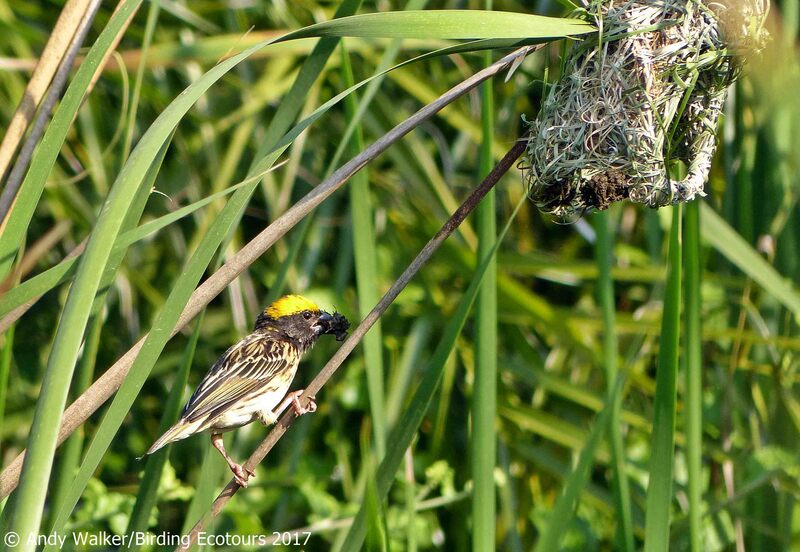 In addition to the above we will try to obtain improved views of the endemics already seen and try to again experience the magic of mixed-species bird flocks. 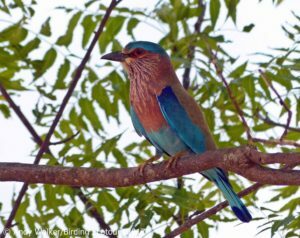 After a final morning birding in Sinharaja we will head to the beautiful southern coast of Sri Lanka at Mirissa to get into a suitable location for the pelagic trip tomorrow. We will be up early for a really exciting prospect, the chance to go whale watching in the stunning Indian Ocean for the morning. Our main target species is the largest mammal on the planet – the magnificent and unrivaled Blue Whale, which can reach lengths of over 30m! Seeing these huge creatures will be hard to beat, although we could also possibly find Sperm Whale, Bryde’s Whale, Orca (Killer Whale), Short-finned Pilot Whale, Risso’s Dolphin, Spinner Dolphin, or Long-beaked Common Dolphin. A range of seabirds are possible (e.g. Bridled Tern, Pomarine Jaeger (Skua), Wilson’s Storm Petrel, Brown Noddy, etc. ); however, our main focus of the pelagic is on the sea mammals. After the pelagic trip we will move up the coast to Tissamaharama, our base for a couple of nights as we explore this excellent area for a wide-range of birds. On arrival in the area we will head into some wetlands to start looking for some of the birds listed below. We will spend the morning birding the fascinating habitats of Bundala National Park, Sri Lanka’s first Ramsar site. 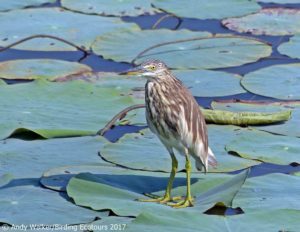 This is the premier site for waterbirds, and you can often get close to the birds in the vehicles to get very good photographic opportunities. We will get there as early as possible to maximize our time in this wonderful set of habitats. 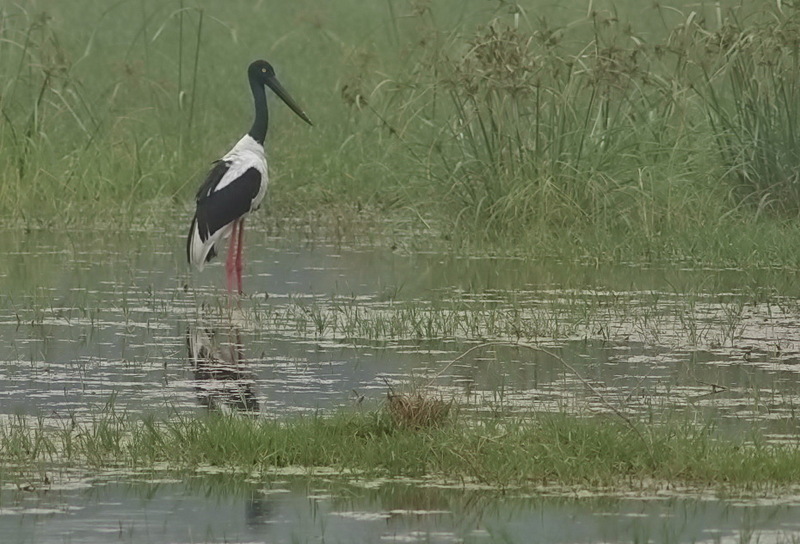 Some of the species possible here include Black, Yellow, and Cinnamon Bitterns, Watercock, Great Stone-curlew, Indian Stone-curlew, Eurasian Curlew, Marsh Sandpiper, Wood Sandpiper, Green Sandpiper, Lesser Sand Plover, Greater Sand Plover, Little Ringed Plover, Little Stint, Kentish Plover, Red-necked Phalarope, Small Pratincole, Western Reef Heron, Striated Heron, Little Egret, Black-headed Ibis, Glossy Ibis, Eurasian Spoonbill, Black-necked Stork, Little Cormorant, Indian Cormorant, Oriental Darter, Spot-billed Pelican, Yellow-wattled Lapwing, Black-tailed Godwit, Garganey, Northern Pintail, Northern Shoveler, Caspian Tern, White-winged Tern, Whiskered Tern, Common Tern, Greater Crested Tern, Lesser Crested Tern, Little Tern, Brown-headed Gull, and Greater Flamingo. 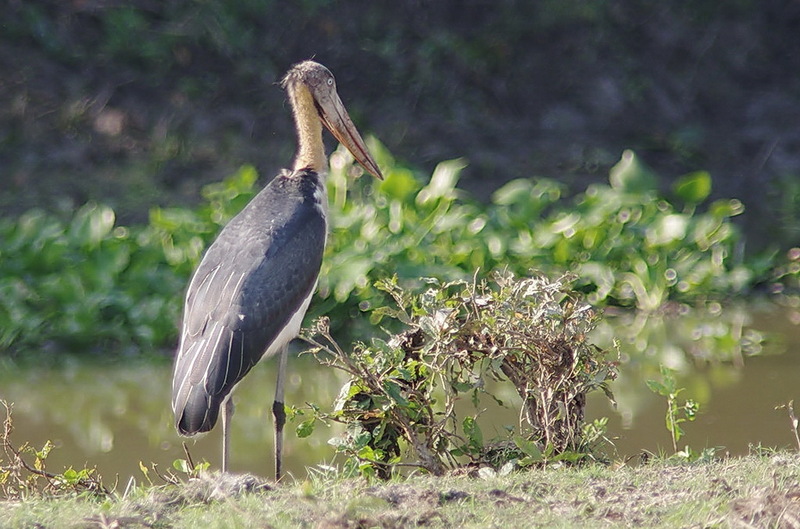 Other species possible in the area may include Clamorous (Indian) Reed Warbler, Eurasian Hoopoe, Ashy-crowned Sparrow-Lark, Brown Fish Owl, Yellow-crowned Woodpecker, and Ashy Drongo. Further species we will look for include Barred Buttonquail, Painted Stork, White-bellied Sea Eagle, Grey-headed Fish Eagle, Greater Painted-snipe, Common Ringed Plover, Broad-billed Sandpiper, Curlew Sandpiper, Ruff, Terek Sandpiper, Orange-breasted Green Pigeon, Grey-bellied Cuckoo, Blue-faced Malkoha, Sirkeer Malkoha, Chestnut-headed Bee-eater, Indian Pitta, Forest Wagtail, Oriental Skylark, Yellow-eyed Babbler, Rosy Starling, Streaked and Baya Weavers, and Indian Silverbill. There really is a huge list of potential species here, and we’re bound to have a great time. In the afternoon we will move the short distance into the nearby Yala National Park for a game drive to look for the Sri Lankan endemic subspecies of Leopard. 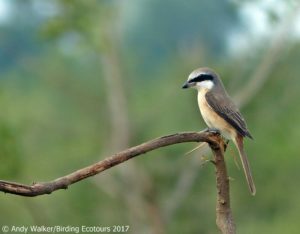 Here we will also likely come across some of the birds found at Bundala (listed above) and at Udawalawe (listed below). There is also a good chance of finding Asian Elephant here too, which is always a treat. In the morning we drive to the dry lowlands of Udawalawe National Park. After checking in at the accommodation we will explore the fantastic Udawalawe National Park in search of dry-zone birds, which abound here. 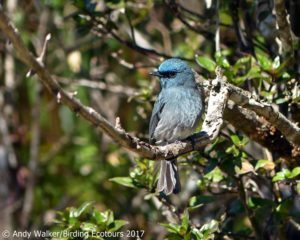 The birds on offer here include Sri Lanka Woodshrike, White-bellied Sea Eagle, Green Bee-eater, Blue-faced Malkoha, Coppersmith Barbet, Yellow-eyed Babbler, Rosy Starling, Jacobin Cuckoo, Grey-bellied Cuckoo, Jerdon’s Bush Lark, Ashy-crowned Sparrow-Lark, Indian Pitta, White-browed Fantail, Little Swift, Brahminy Starling, Paddyfield Pipit, Blyth’s Pipit, Orange-breasted Green Pigeon, Spot-billed Pelican, Yellow-wattled Lapwing, Painted Stork, Woolly-necked Stork, Indian Peafowl, Indian Robin, Black-winged Kite, and Indian Stone-curlew. Migrant forms of Red-rumped Swallow (with paler red belly and rump). 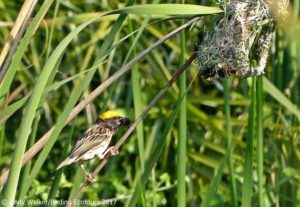 Western Yellow Wagtail, White Wagtail, and Citrine Wagtail may show up too. Other birds we will be on the lookout for at Udawalawe National Park include dry-zone specials such as Malabar Pied Hornbill, Sirkeer Malkoha, Indian Silverbill, Barred Buttonquail, Lesser Adjutant, and if lucky Brown Fish Owl. 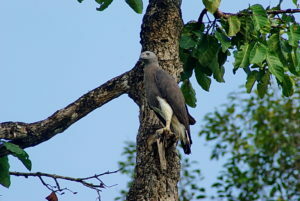 With its vast open expanses the park also harbors a rich diversity of exciting raptors, such as Changeable (Crested) Hawk-Eagle, Crested Serpent Eagle, Grey-headed Fish Eagle, Western Osprey – a local rarity, Pallid Harrier, Montagu’s Harrier – another rarity, Booted Eagle, Shaheen – the resident race of Peregrine Falcon, Common Kestrel, Crested Honey Buzzard, and Shikra. 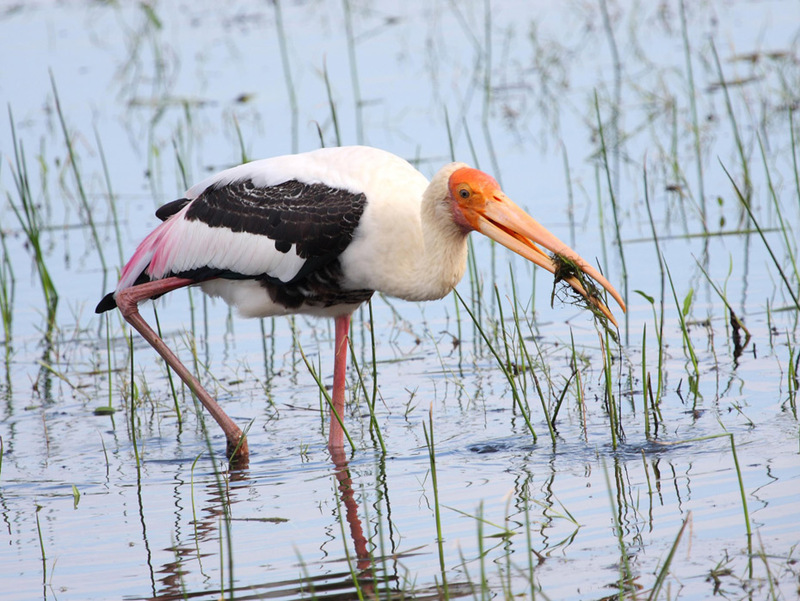 In addition to excellent birds a visit to Udawalawe also presents a good opportunity to observe Asian Elephant and Wild Water Buffalo, both of which are found in good numbers in the park. 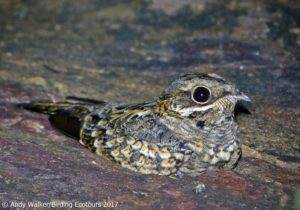 At dusk falls we will look for Indian Nightjar and Jerdon’s Nightjar in the scrub near our accommodation, likely serenaded by a chorus of Indian Pittas as the sun sets. 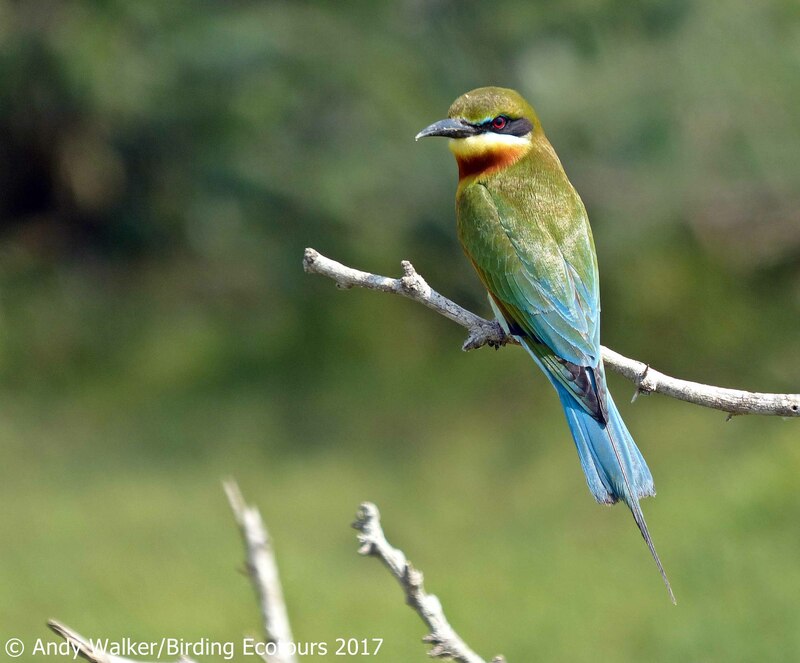 After some more early-morning birding in the Udawalawe area we will commence our ascent to reach the cooler interiors of Nuwara Eliya (1,890m). We will stop for any ‘good’ birds noted along the way, but principally the morning is for driving today. Nuwara Eliya is the most famous hill station in Sri Lanka, named by some “Little England”, as it still bears evidence of its colonial past with its English-style holiday homes, a racecourse, vegetable gardens, shooting ranges, an urban park, a few pubs, flower gardens, and a fine 18-hole golf course.  As we ascend vast stretches of tea gardens dominate the landscape, a cash crop introduced by the British, which is currently the country’s third-highest revenue earner. A serious drop in temperature (around 10-15 degrees Centigrade) at Nuwara Eliya will necessitate sweaters! Once we reach the area we will explore Victoria Park. 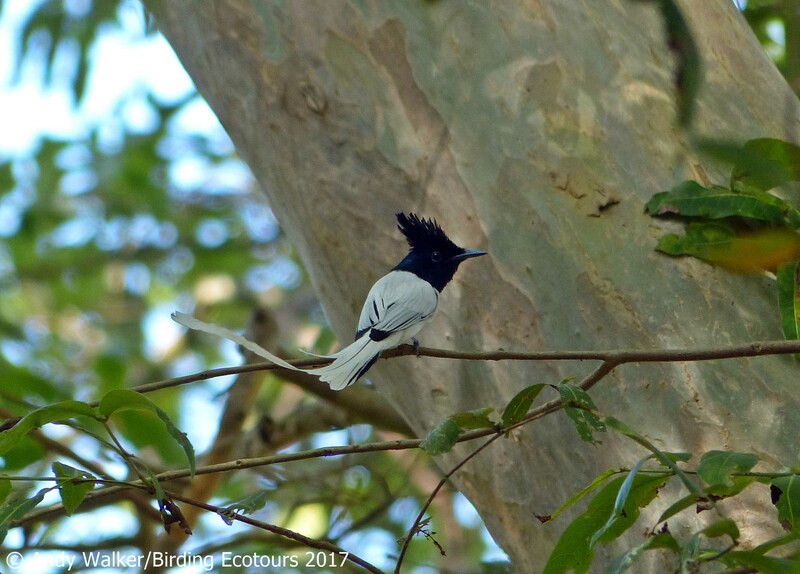 Established in 1897 to commemorate the 60th coronation jubilee of Queen Victoria, this urban park is the prime location for Western Himalayan migrants, including Kashmir Flycatcher and Pied Thrush, which winter almost exclusively in Sri Lanka. Indian Pitta, Indian Blue Robin, Forest Wagtail, Sri Lanka Scimitar Babbler, Indian Blackbird, and Sykes’s Warbler are some of the other good birds to be found in this park. Finally we will reach our cozy highland lodge, where we will stay for two nights. We will have an early start with a picnic breakfast to get to the high elevation Horton Plains National Park, where we will spend time in the forest looking for high-value montane targets: Sri Lanka Whistling Thrush, Sri Lanka Bush Warbler, Yellow-eared Bulbul, Dull-blue Flycatcher, Sri Lanka White-eye, and Sri Lanka Wood Pigeon. Mixed-species bird flocks are to be found in this forest, comprised of both white-eye species, Orange Minivet, Velvet-fronted Nuthatch, Grey-headed Canary-flycatcher, and Bar-winged Flycatcher-shrike. 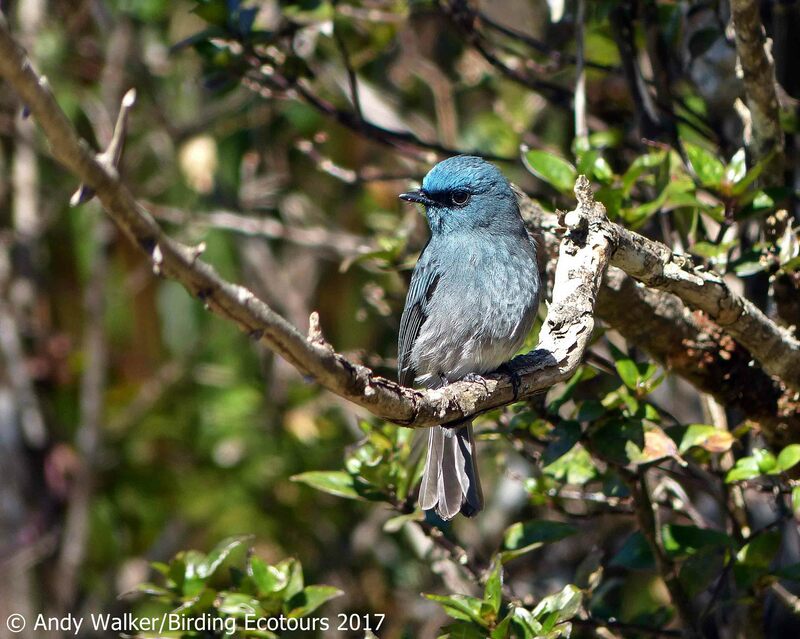 In the afternoon we will descend back to near Nuwara Eliya, where we will reach a patch of habitat close to our accommodation in time to anticipate the arrival of the ultra-secretive, montane endemic, Sri Lanka Whistling Thrush, which is one of two Endangered (IUCN) Sri Lankan endemics. In the morning we will be birding for any missing montane specials before driving to Kandy (477m), the last Sinhalese kingdom in Sri Lanka, which was ceded to the British in 1815. 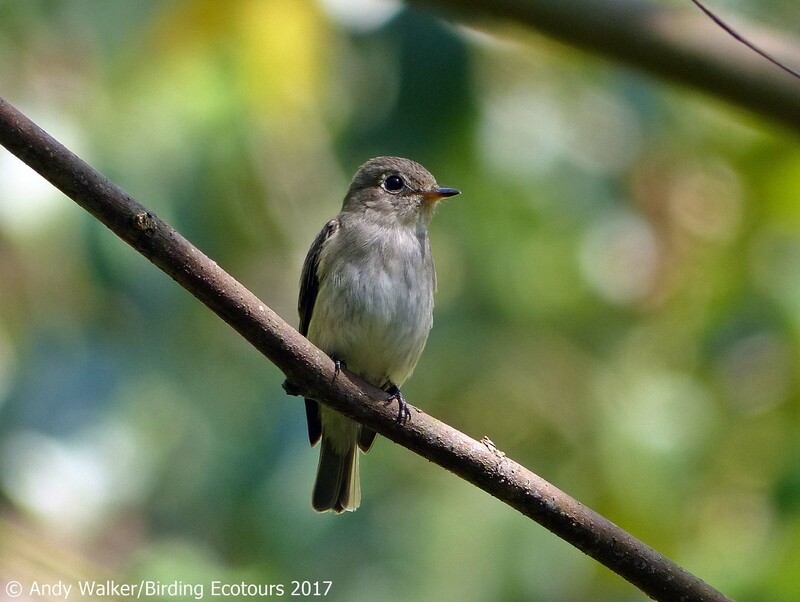 En route we will pause at a tea factory to see the recently-split Hill Swallow, which nests inside the factory. After a cuppa we will reach our accommodation, which is a hotel situated close to birding sites and the sacred city of Kandy, a UNESCO World Heritage Site. In the late afternoon we will go birding within our ample hotel grounds close to Kandy to look for any missing targets. 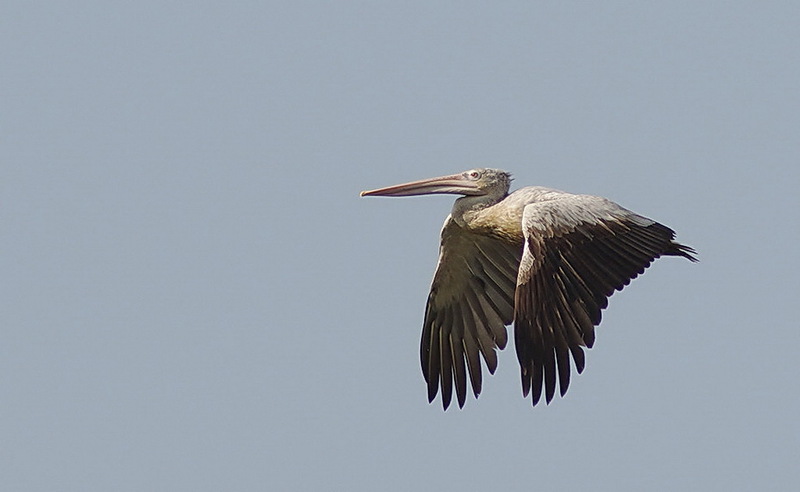 We will also look for several special birds here, namely Crimson-fronted Barbet and Common Hawk-Cuckoo. A noisy colony of giant fruit bats will be hard to ignore, and we could see them in their thousands in several large trees next to the near river, with constant fights over landing rights. We will finish the tour with some optional pre-breakfast birding around the wonderful gardens of the hotel area. After our final breakfast of the tour we will travel back to Katunayake near Colombo before the tour comes to an end with your afternoon international departure. 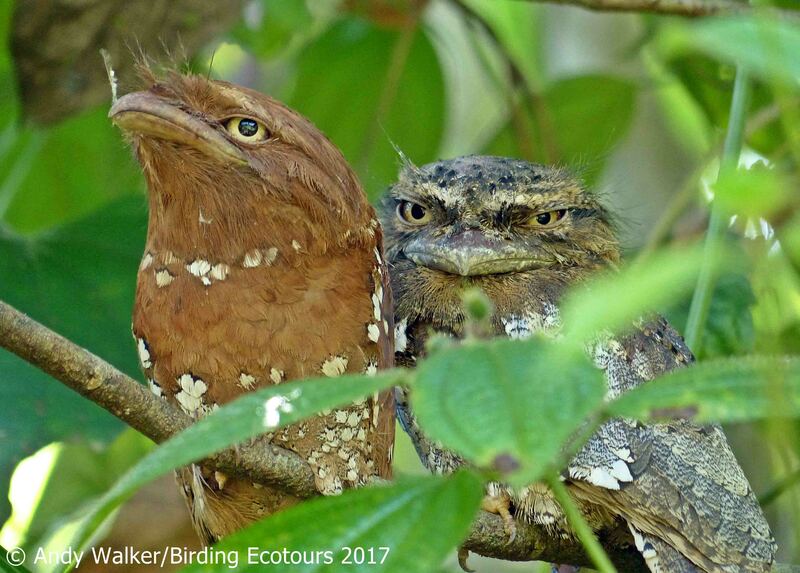 Just wanted to tell you what a fantastic time I had on my custom Sri Lanka birding tour. Everything went flawlessly thanks to Andy’s preparation, and his knowledge and passion for the birds was infectious and made it great fun. Our local guide, Lester, was as passionate, and was expert in locating the birds and sharing his knowledge of the country. 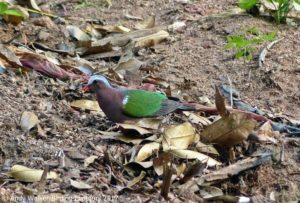 The food and lodging were great, and we became good friends as well as birding buddies, and I would recommend Sri Lanka as a, safe, friendly place to bird. Andy’s trip report is on the website. Birding Ecotours ran a wonderful tour, and I will use their services again for our next trip.